The Turks and Caicos Islands have had a long and exciting history. Initially being discovered by the Spanish in the 1500's, then falling under French control, until they finally where annexed by the British in 1799, and merged with the British colony in the Bahamas. Given the islands location in the middle of the Caribbean, the islands proved popular with privateers and pirates, as well as legal traders! In 1848, they where made an independent colony with its own governorship, and this remained the case until 1873, when the Turks and Caicos where placed under the governorship of Jamaica. In 1917, Canada first became interested in the Turks and Caicos, mooting the idea of transferring control from Britain to Canada. However, the British government rejected this idea, and kept the islands under the governorship of Jamaica. The islands became a separate colony once again in 1959, and became part of the Federation of the West Indies. There they remained until its collapse in 1962. In 1963, Jamaica gained its independence from Britain, and the Turks and Caicos reverted to direct control from Britain as a Crown colony. In 1965, the islands passed to the Bahamas. 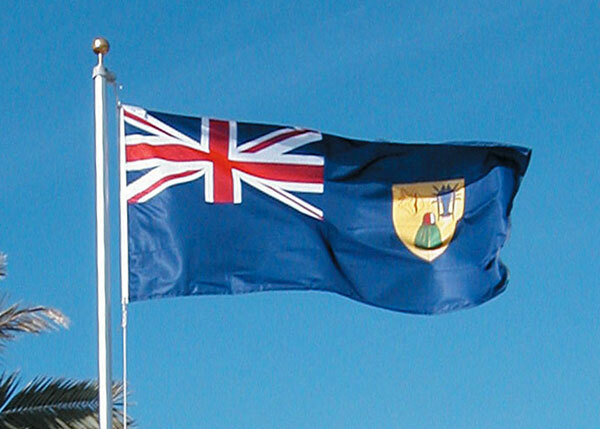 When the Bahamas gained their independence in 1973, the Turks and Caicos once again became a separate Crown Colony. In 1974, a move was again made in the Canadian parliament to annex the islands to Canada, but given that an annexation would result in major changes to the constitution and plenty of demands from the provinces, the move soon dropped off. In 1982, a move in the Turks and Caicos discussed the possibility of independence, however, political differences prevented the idea from moving forwards. The Turks government then approached Canada again to discuss joining Canada. However, Canada was embroiled in a free trade dispute with the US, and had no time to discuss it. 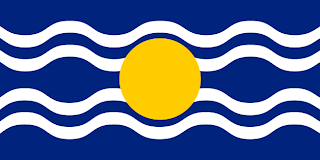 In order to get round the need to rewrite the constitution of Canada based on the Turks and Caicos joining as a new province, Nova Scotia presented an invitation to the islands to merge with the province should the Turks and Caicos decide to do so. This would allow the islands to become part of Canada without the need to rewrite the Canadian constitution. Whilst the Canadian government has since stopped moving the idea of annexing the Turks and Caicos islands forwards, it does not rule out raising it again in the future. To do so would allow them to build a deep water port in the Caribbean, allowing them the ability to base troops there to engage in anti-drugs and anti-terror operations. As well as giving Canada direct access to Caribbean and Latin American markets. In recent times, the islands have also seen huge political issues spring up. In 2006, the Premier of the island, PNP leader Michael Misick declared that he saw independence as the ultimate goal for the islands. In 2008, during a systematic review of overseas territories, a committee of British MP's discovered reports of high level corruption. The governor of the island announced a commission of enquiry into the corruption. About the same time, the Premier Michael Misick became the focus of a criminal investigation over allegations of sexual assault. Finally, in 2009, the British government suspended the islands government and imposed direct rule. This has proven deeply unpopular with many of the islands ruling elite, with many declaring it to be the British re-colonising the islands. However, the vast majority of the people of the islands support the move since the government had been implicated with high degrees of corruption including the selling of crown land for personal gain. The British government has stated that new elections would be held during 2011 at the latest to return the islands to self-governance. 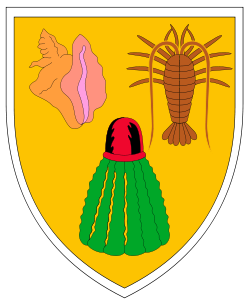 The coat of arms for the island where granted once the islands gained their independence from Jamaica in 1965. The central shield feature a conch shell, cactus, and lobster. The supporters are flamingoes, and the crest is a pelican between two sisal plants. In 1968, the territory took the central shield from the coat of arms, and introduced it as a badge. It was then placed on the flag for the islands. The flag is a standard British Blue Ensign defaced with the badge from the Turks and Caicos coat of arms. The flag was introduced in 1968.